Guide price: £10 per participant, minimum £1,000 for 2 days (e.g. 300 people would cost £3,000) at your venue. Negotiable. 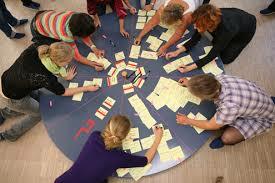 The main cost to you is in getting all participants together for a highly focused day. This is designed to be a low risk, efficient and effective investment that is relatively simple to instigate and deliver.